The smell of hot curry pouring from room is inevitable. The mixture of spices filled up my nostril as I sat. The lighting of the room might not be pleasant but it is the way in which the restaurant owner set up his restaurant to stop excessive lighting, which is done with a huge decorative curtain. My attention was set on the glamorous uplifting Indian pop music, playing from the large high-definition televisions. 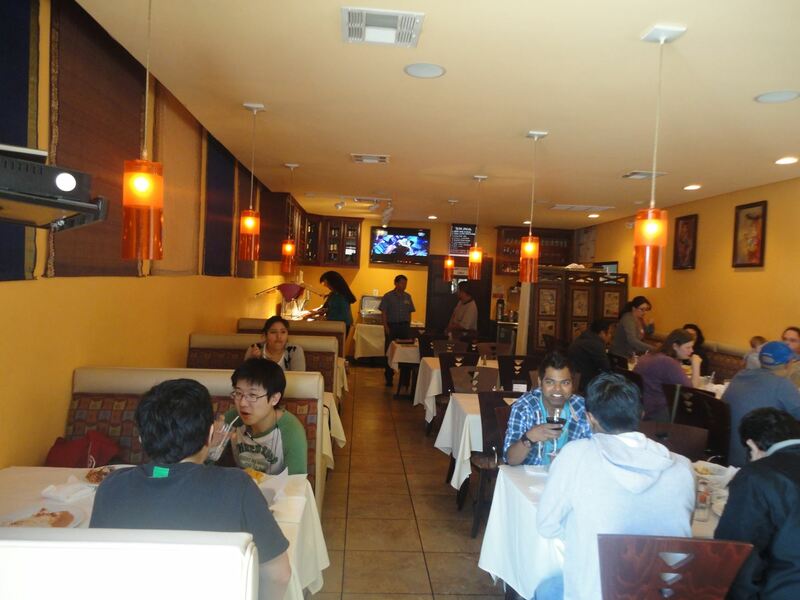 The menu has Indian, Thai and Indo-Chinese cuisines. My first order was lamb curry, an Indina meal. The dish is simple. It consist of white long rice that had an amazing rice scent compare to other rice I tasted, topped with a red curry made from onion, ginger, garlic, tomato sauce, chili, and other spices. The dish had a heavy scent of tomato and chili that covered the whole plate. The curry brought memory of my mother's eggs topped with red sauce. It is a simple Mexican dish to cook: eggs, onions, chili, garlic and tomatoes. It is a dish that she prepares when she doesn't feel like cooking a complicated meal but I like it. The mango lassi is a simple dish I tried to make it at home, but I failed to recreate the same smooth, cold, sweet taste that I had in Manas. For dessert I took on a dish that I am familiar with, in my culture we would call it arros con leche (rice with milk), but in India it is call kheer. The dish came out of the kitchen hot; it had a pleasant aroma of milk and by the look of it, I knew the dish was going to be creamy, and was I right. It was delicious and unique from the arros con leache I have had . It could have been the long rice, the extra spice but the result was a sweet and immense creamy taste. On my second visit to the restaurant I was in for a huge meal. With the buffet that Manas provides for ten dollars the restaurant became my sanctuary. It provides a variety of Indian cuisines to choose from: chicken curry, fish curry, dal makhani a traditional cuisine staple to the Hindu diet; made from beans or lentils and masala sauce, and chicken tikka masala. I tried almost all the curry but the one that stood out to me was chiken tikka Masala, it is a creamy mild curry with a radian orange sauce that blankets the chunks of chicken. Add some rice and it is a complete dish. This dish is a must try, just thinking about it leaves my mouth watery. The buffet also provides authentic Indian desserts: cold kheer, gulab jamun, a dish which I consider a ball full of sweetness.Gulab jamun is spongy and it melts in ones mouth. For mango lovers like me try the mango halwa, a spongy cake made from mangos. Its texture might not be pleasant, since it feels like dry cake, but it has a good taste. 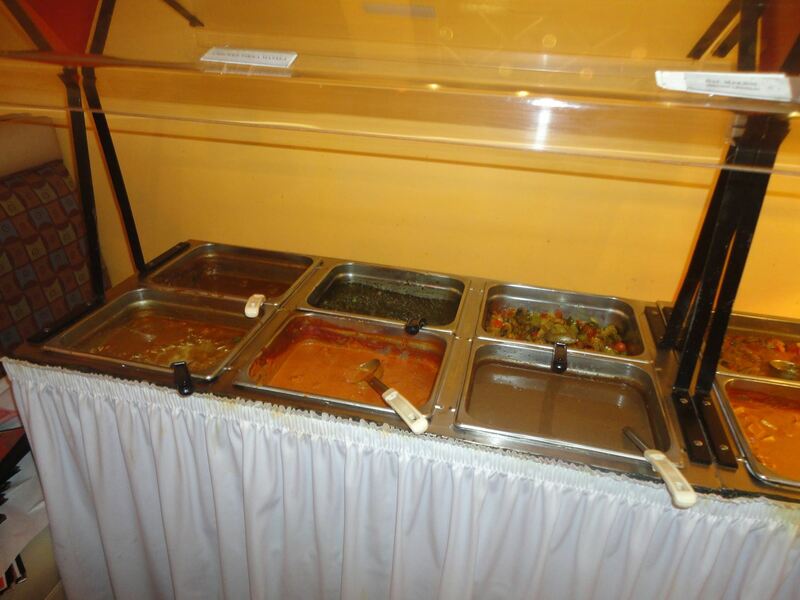 The restaurant's buffet is a great way to experience Indian cuisine. The buffet provides a variety of food. 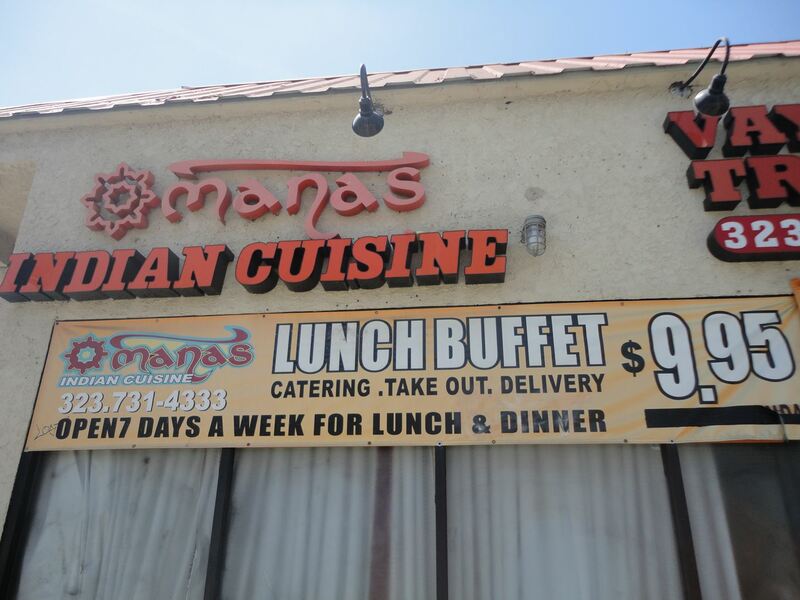 Manas is an inexpensive restaurant and pleasant to be in. Bring your friends and enjoy the ravishing cuisines and aroma of Manas. Lunch Buffet every day starts at 11:30am ends at 3:30pm. Open: Mon-Sun 11:30am - 10:45pm. (1) Dinners during buffet hours. 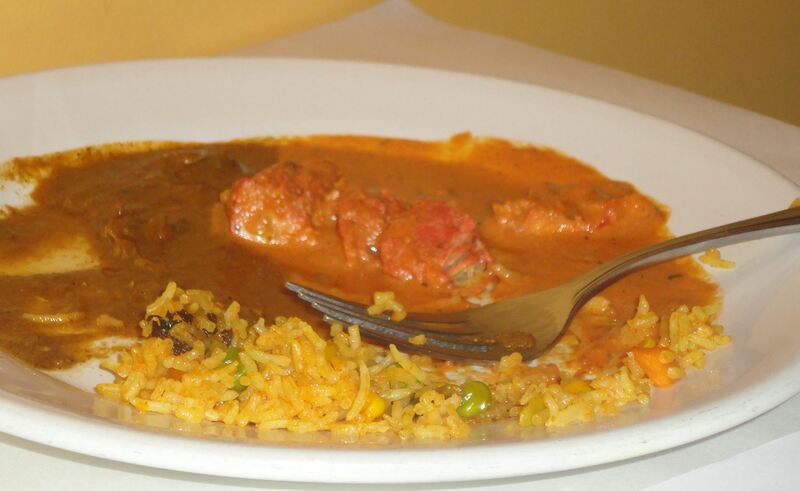 (2) Chicken tikka masala with fried rice. (3) Part of buffet. 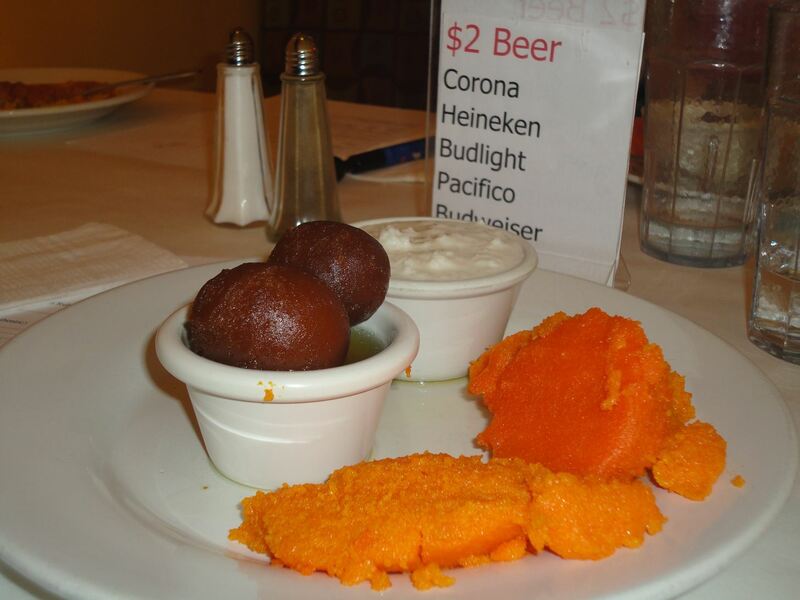 , (4) Dessert: gulab jamun on left,right mango halwa, back cold kheer. 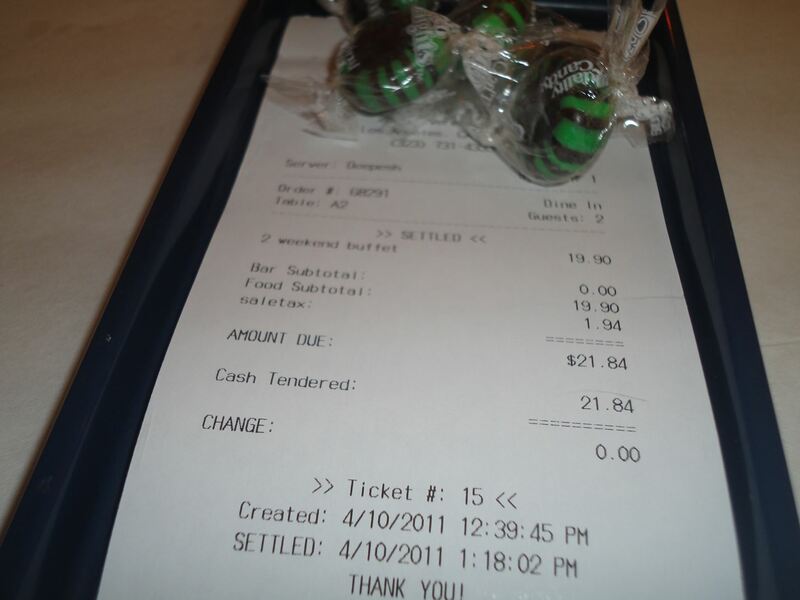 (5) Food for two, 20 dollars plus tax inexpensive for such delicacy, free candy nice service. (6) Manas Restaurant.